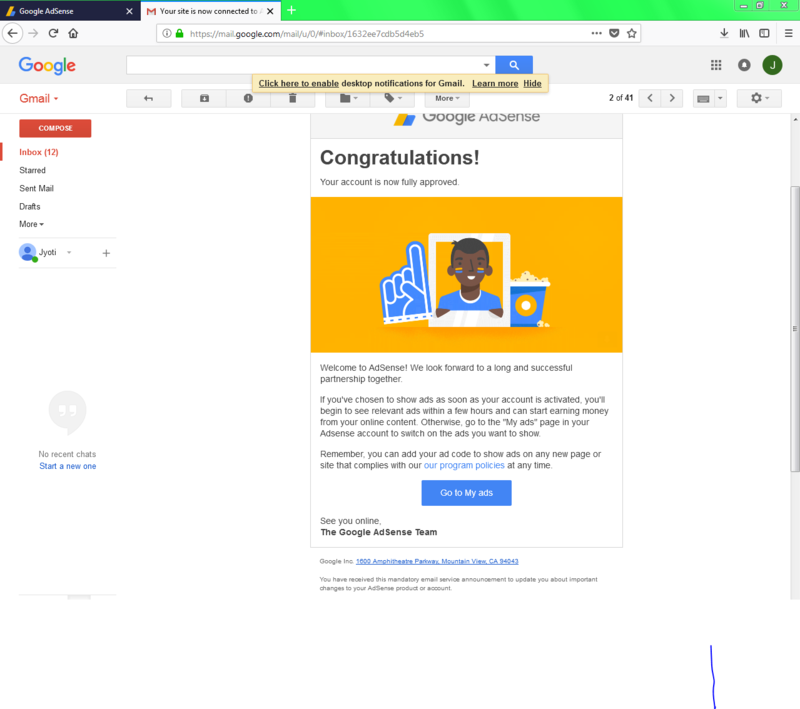 My AdSense account for my blogger hosted site is approved and I can’t tell you how hard it was to get approval, so today I will tell you my story to get my Techno Minto blog approved. I started working on that blog from october 2017 and I was posting the posts only twice a month and till now I got 21 posts and I then applied for adsense at first apply my application was rejected saying that “Your site don’t compile with our program policies. Then I added those pages and re-applied and after applying I got the approval after almost 3 weeks which was a very long time. During this time I used to go to Google Forums and ask about why my adsense application is still under review and I always get the answer it can even take 2 months. This was my story to get approved. I had also applied for my this site. I know it doesn’t comply with adsense policies but let’s check if they..
That’s all in today’s post meet you in my next post. ← WordPress Drag And Drop Page Builder Elementor ?